Is coffee good for dry eyes? 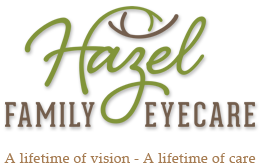 Hazel Eyecare, Dr. Tara Fowler. Is coffee good for dry eyes? Interesting studies came out last year that suggest coffee can be beneficial to your health for many reasons, including helping with dry eyes. Although old news, I think it is very intriguing... and I'm glad to hear any good new regarding my daily cup of joe. The study divided the patients into two groups: those who received caffeine and those that received a placebo. Researchers found that the group that received 400 mg of caffeine (about the amount in 4 cups of coffee) had increased volume of tears on the ocular surface. It is thought that caffeine may stimulate the tear glands in the same manner it increases saliva and digestive juices. While more research is needed to determine the exact causes and the minimal amount of caffeine needed to produce an effect, the bottom line is your morning cup of joe may be beneficial in reducing ocular dryness.